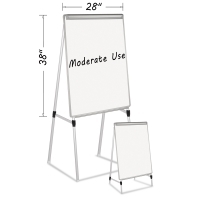 The versatile, portable MasterVision Dry Erase Quad-Pod Presentation Easel works great on the floor or on a tabletop thanks to its sturdy telescoping legs. Extend the legs for floor use or collapse the legs and set the easel on a table. Support braces help prevent wobbling. 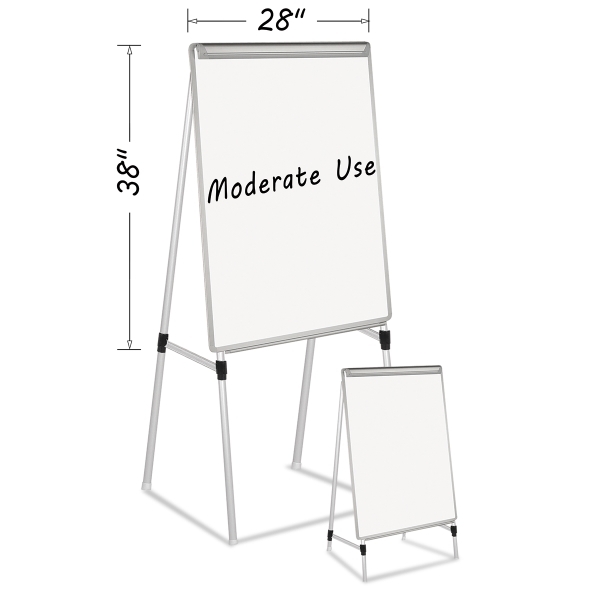 When you're done with your presentation, the easel folds easily for storage and transport. 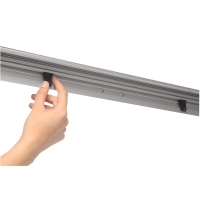 The white dry erase surface is framed in gray aluminum. An adjustable holder at the top of the board holds paper pads of all sizes, and an aluminum marker tray runs across the lower edge. 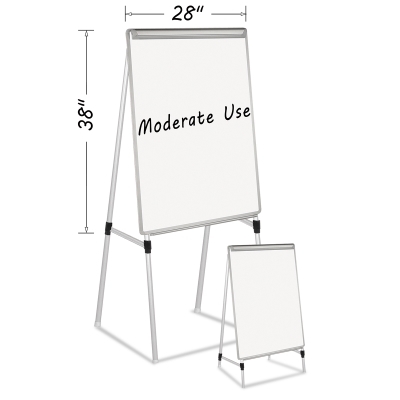 The easy-clean dry erase surface is recommended for moderate use and works with standard dry erase markers (sold separately). ® MasterVision is a registered trademark.